Welcome to the Lootmeister sports betting advice page! If you've landed on this page, it's likely because you need help. You've come to the right place! Beating 52.38% against the spread is no easy task! You need every single weapon that you can find to insert into your sports betting arsenal. Here you'll find tons of insights on sports gambling that will help increase your odds of winning your wagers and beating the sportsbooks. As noted above, you've come to the right place! We're experts on the topic of sports betting. Know how we got to be experts? Trial and error. We got our butts absolutely handed to us for YEARS before we got even a sniff of winning, or breaking even for that matter! 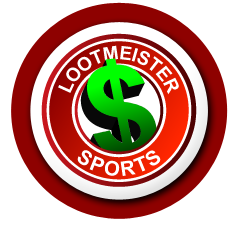 We've taken all of our trial and error, failures and success, and compiled them all here on the Lootmeister site to help others achieve their dreams and goals of winning some money by wagering on sports. It's not easy though! It's nothing short of an exhausting grind. What seems like easy money is just the opposite! There is so much psychology, handicapping and discipline that goes into being a successful sports bettor. You've made the right first step though! We're here to help and better yet it won't cost you anything! All we ask is that you consider signing up at our sportsbook sponsors pay our bills and is ultimately what keeps us in business. Enjoy! Before we get into the articles, here's some of the best sports betting advice that you'll ever receive! Most online sportsbooks make you lay -110 odds on football and basketball games. This essentially means that you're risking $1.10 for every $1.00 that you're trying to profit. Did you know that there are sportsbooks out there that offer discount pricing on odds? You lay only $1.05 to win the very same dollar when you bet your games at 5Dimes Sportsbook! Make the switch today to save BIG money! This saves a $100 bettor a five dollar bill every single time they bet! Don't Believe the Hype - Listening to mainstream sports media talk show hosts on TV and the radio is great entertainment but their advice will kill your bankroll. Most of these guys know quite a bit about sports, but beating the point spread is a completely different animal. One which most of these popular figures don't know anything about. Avoiding Sports Betting and Handicapping Scams (Scamdicappers) - The gambling industry is a multi-billion dollar gig. There is tons of money floating around and with big money comes shark infested waters. As you've probably already seen, there are TONS of tv, radio and online personalities claiming that they can crush the spread and make you oodles of loot. If this were really the case, don't you think they'd be more focused on betting their own picks and not bothering with marketing to you? Don't get us wrong... There are indeed a BUNCH of good/legit cappers out there that can beat the spread. Unfortunately there are 5x as many blowhards who couldn't pick their way out of a wet paper bag. Loot gives you advice on what to avoid when dealing with "professional" sports prognosticators. How Sports Betting Works - Loot gives a brief primer on how betting on each sport works including point spreads, odds, money lines and more. Ins and Outs of Odds - As loot implies in the article, if you quizzed 10 guys in an online sportsbook they probably couldn't properly explain how the odds work. Loot gives a brief primer on understanding odds, point spreads and how they relate to line movement. How to Become a Professional Sports Bettor - A guy could write a whole book on this topic, but this article will give the nuts and bolts to get started on your way to betting on sports for a living. You must of course have knowledge to go along with the advice listed in this article. What is Smart Money? - Loot breaks down the difference between sharp/square money and gives advice on how you can detect wiseguy action. Looking at Sports Wagering Like the Stock Market - Loot compares and contrasts two, which are actually very similar. Loot points out that we're all just looking for an investment where the value outweighs it's price offered so that we can get ahead and make a buck. How to Spot Sucker Bets - We've all seen that line where our first instinct screams "I'm going to hammer that!" As a general rule of thumb in sports betting, if it's too good to be true, it usually is! Wagering on Must Win Games - There is a common sentiment that teams will fair better against the spread in "must-win" games. These are games that usually happen late in the season where a team desperately needs a win to make the playoffs. The problem here is that the oddsmakers know this too and there's a good chance that if you side with the "must-win" team, you're going to be wagering at inflated odds which puts a damper on your ability to make long term profits wagering on these type of games. Gambling For the Wrong Reasons - Betting on games can provide profits and fun if done with the proper approach. If you find yourself not having fun or not profiting, you may be gambling for the wrong reasons. Loot talks about the issue and gives much needed advice to those who find themselves in this position. The Dangers of Greed - Very few profit long term in sports betting. Some say the number is as low as 3%! Many who fail, do so because of GREED. Learn to curtail this ugly monster by reading this article. Betting a Hunch - We all do it at times! It's ok every now and then, but not something that you want to partake in on a regular basis otherwise you're sure to fail at achieving and beating the coveted 52.38% break even point in sports betting. Scared Money Never Wins - You've heard the old expression before. Everybody has. But let's talk about it! Don't allow this huge psychological monster wreck your ability to have success at sports betting before the game even starts! It's Not All About Picking Winners - Did you know that you can have a winning baseball betting record but end up being down? It's very important that you understand how odds work and make sure that you're betting into value. Not sucker bets where you'll get killed!